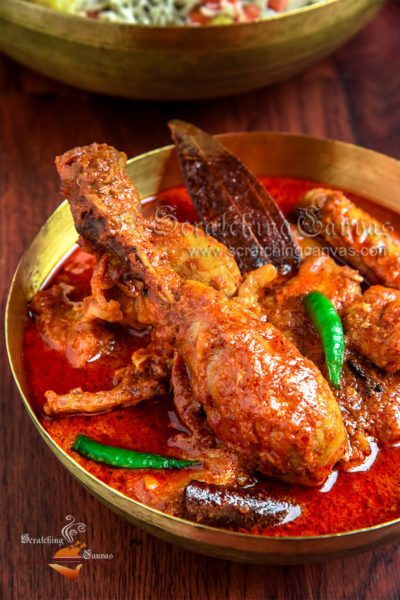 It is a continuation of my previous post on Kolkata Style Mutton Biryani with Bengali Chicken Chaap or Chanp Recipe: Kolkata Style from Arsalan. 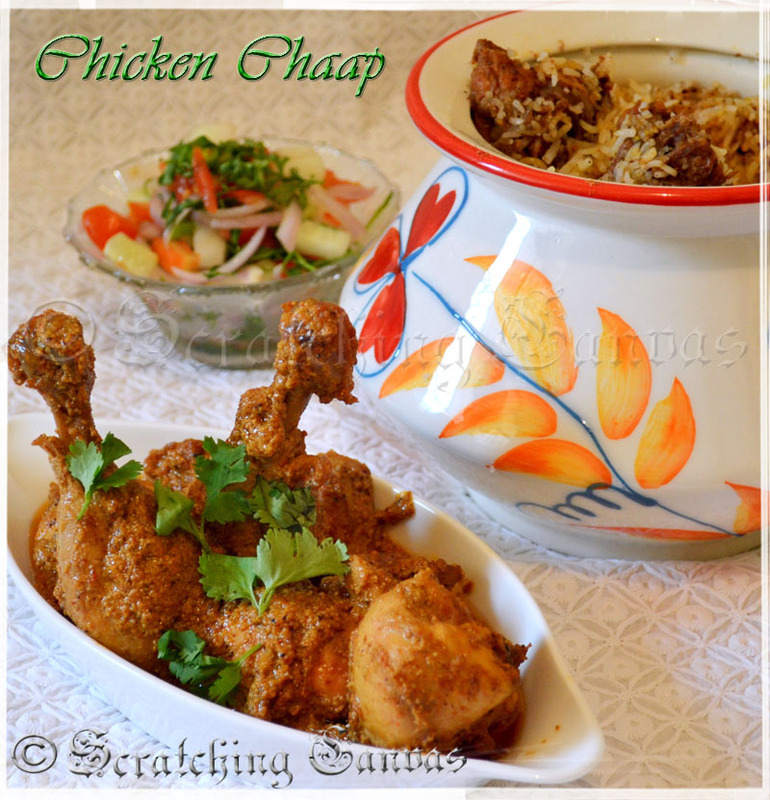 I believe any biryani is incomplete without Chicken Chaap/Chanp. Some people like Rezala but I prefer rezala with Rumali ruti. So when bisyani was on my table chaap had to be there at any cost along with raita and salad. 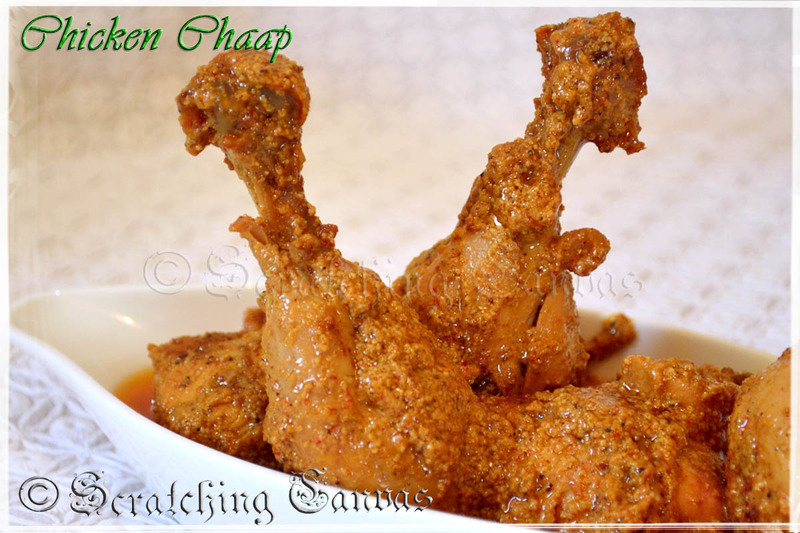 Chicken Chaap is a Classic Delight for Indian food lovers. 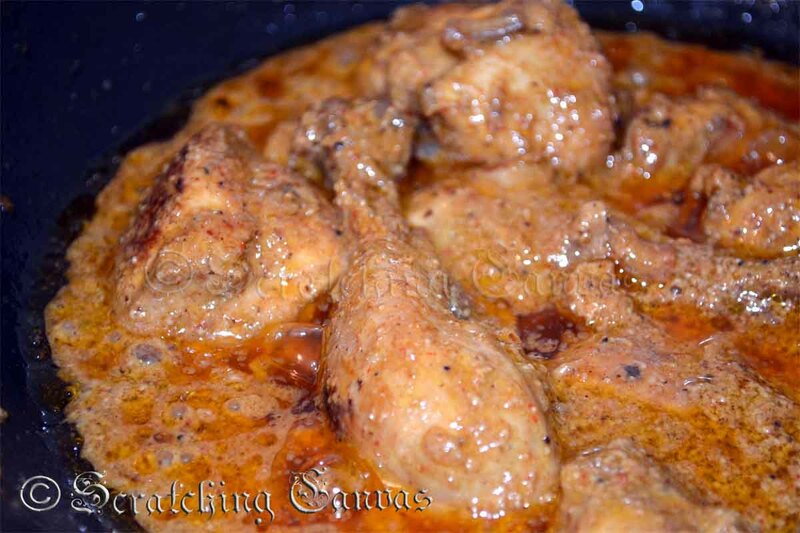 This is a unique combination of juicy and moist chicken pieces and rich and thick gravy. Any Indian festival will go dull if it doesn’t include Biryani and Chaap in its menu. 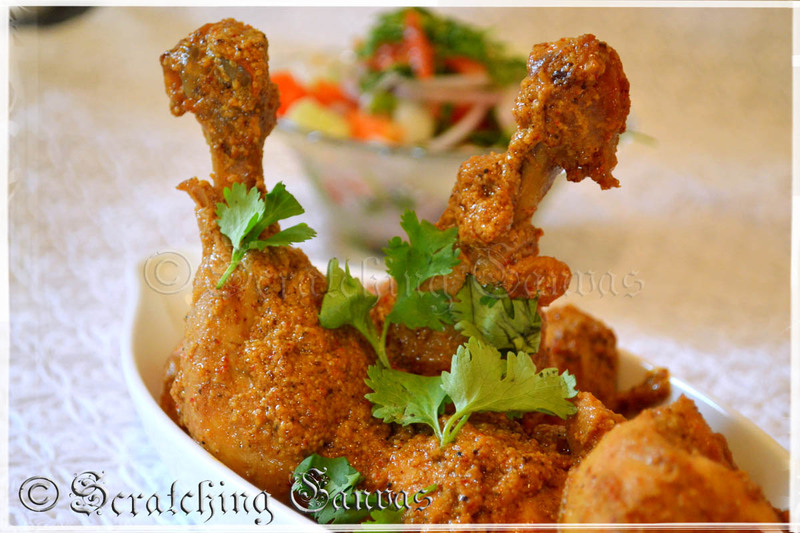 Though I haven’t tried and tested this delicious chicken preparation in many places I have become a fan of it. I think more than a fan, what about an A.C. (okay now that’s a bad P.J.)?? Anyways, over many authentic places I love Arsalan’s Chicken Chaap/Chanp. 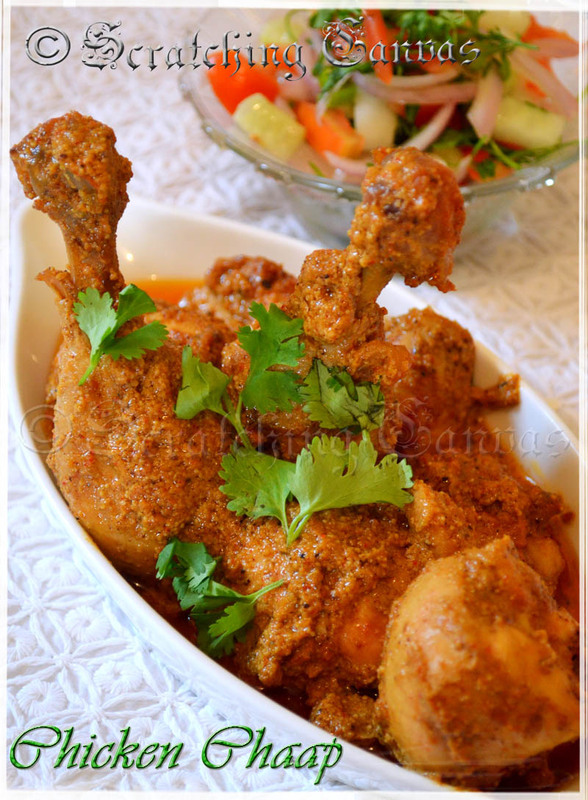 Today I’m sharing the Bengali Chicken Chaap or Chanp Recipe with Kolkata Style from Arsalan. 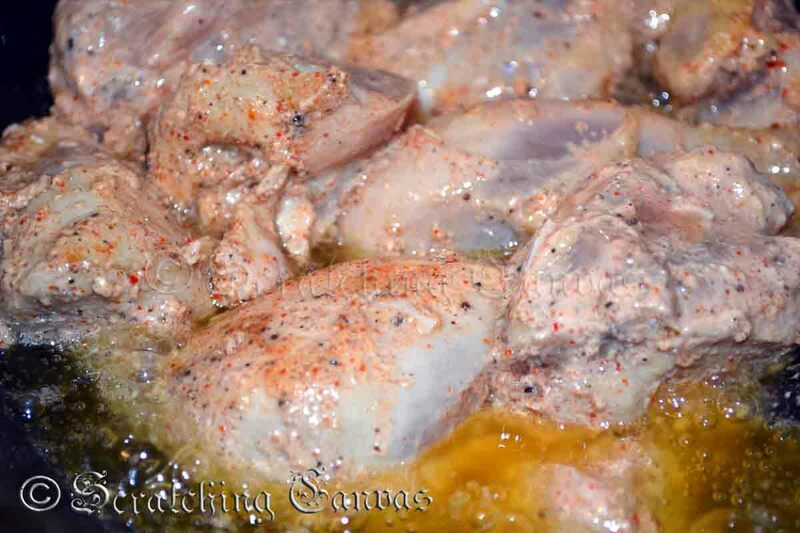 Wash and clean the chicken pieces and pat it dry with kitchen cloth. 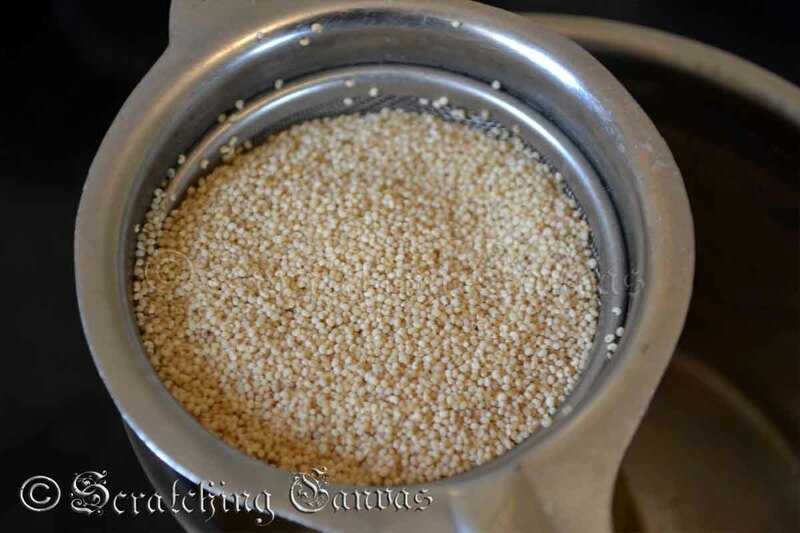 Soak the poppy seed in 1/5 cup warm water for 30 mins, covered. Drain the water and make a fine paste of it. Keep it aside for later use. In a mixing bowl beat the curd. Mix in all rest ingredients except meat, oil, poppy seed paste and sugar and beat well to make a smooth paste. Dunk the chicken pieces in the curd mixture. 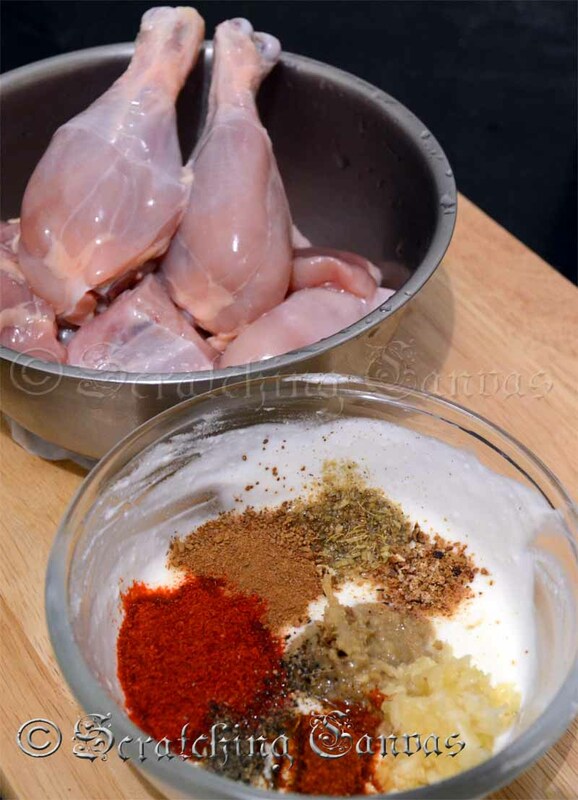 Rub the chicken pieces well to coat them from all sides. Allow it to rest for 4 hrs – 6 hrs in refrigerator. Remove the chicken and let it come to room temperature. Take a non-stick wok and heat oil in it on medium flame. Now shake off all marinade and add chicken pieces into the hot oil. Fry them on medium heat. Don’t let the chicken pieces turn brown. Add sugar along with the marinade and give it a good stir. Continue frying uncovered until oil floats on top. 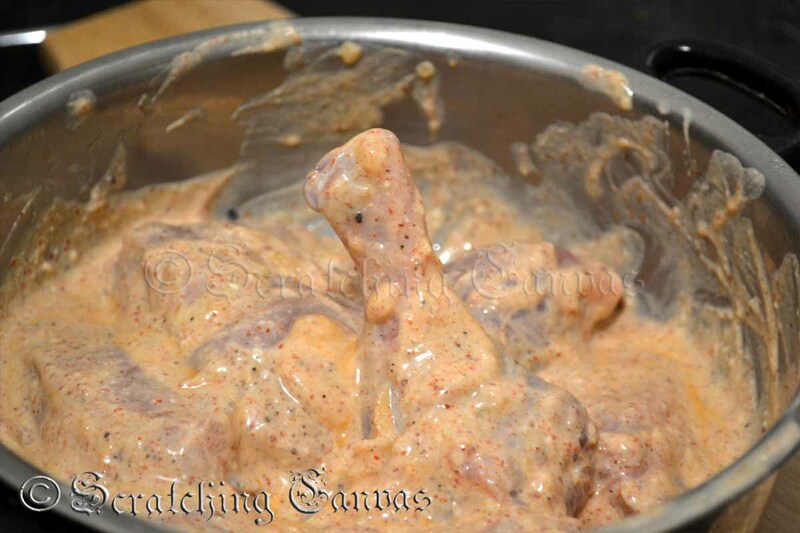 Add poppy seed paste along withthe saffron infused milk and mix well so that all pieces get coated with the paste. 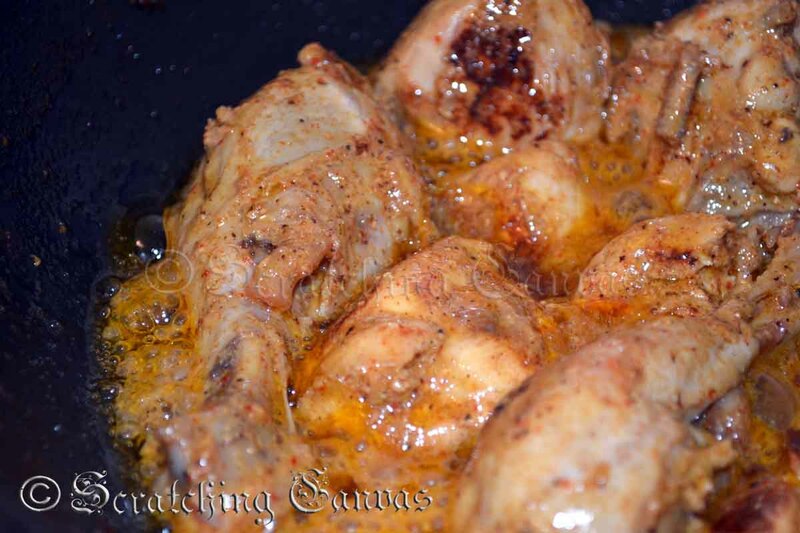 Continue cooking until chicken is done and oil separates. If your gravy has dried up and chicken is still undone sprinkle some warm water in between. And if chicken is done and it is watery increase the flame to evaporate. 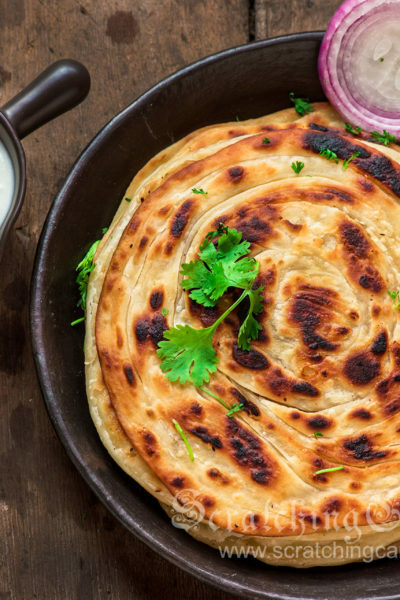 Serve hot with any Biryani and salad or with any kind of Paratha. I served it with Kolkata Style Mutton Biryani along with raita and salad. Soak poppy seed in ⅕ cup warm water for 30 mins and make a fine paste of it. In a mixing bowl beat the curd along with rest ingredients except meat, oil, poppy seed paste & sugar and make a smooth paste. 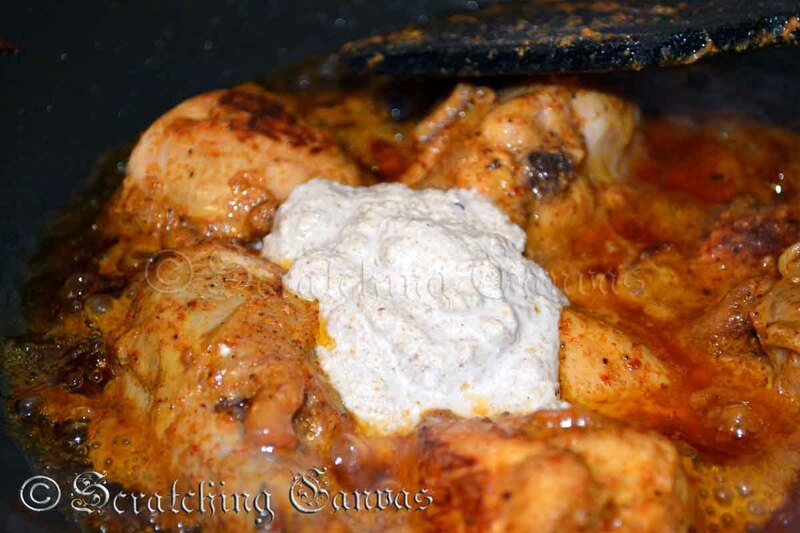 Rub the chicken pieces well in curd mixture and allow it to rest for at least 1 hour or 4 hrs – 6 hrs in refrigerator. Now shake off all marinade and add chicken pieces into the hot oil. Fry them on medium heat. Add sugar along with the marinade and give it a good stir and continue cooking uncovered until oil floats on top. Add poppy seed paste along with the saffron infused milk and mix well. Continue cooking until chicken is done and oil separates. 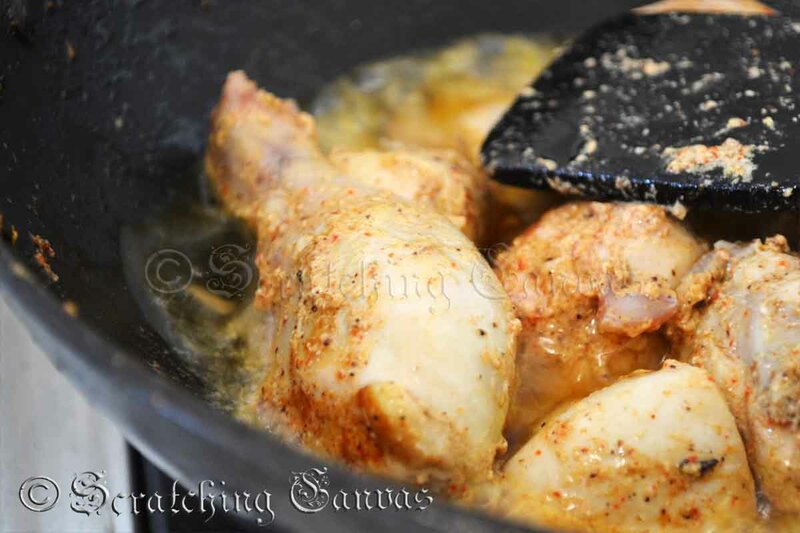 If your gravy has dried up before chicken is cooked, sprinkle some warm water in between. Easy and yummy recipe. But, I was just wondering, isn’t Kewra water necessary ? Got very excited with this recipe. Will def give it a try! Very clear instructions! Fallen in love with yur site! Thanks a ton! Really tempting! Will def give it a try! Very clear instructions! Fallen in love with yur site! Thanks a ton!